We’d love your help. Let us know what’s wrong with this preview of Exposure by Kathy Reichs. If the twins set the whole thing up and were never prisoners then that means the whole Prologue never actually happened. It wasn't even the part being filmed, what was the point of the prologue if not just a plot hole? Isabella Because the twins are messed up and they wanted the money. Kathy Reichs probably put that in because Peter and Lucy are acting. As the Virals return for another adventure, Tory and the gang find themselves in the middle of the trial to put away the infamous Gamemaster (from Book 3). When twins go missing from Tory's school, the Virals take it upon themselves to do some of their own sleuthing. What they find will create more questions than answers. All the while, details surrounding the experiments that eventually infected Tory, Ben, Hi, and Shelton (as well as canine Coop) fall into their laps, but there's a secret set o As the Virals return for another adventure, Tory and the gang find themselves in the middle of the trial to put away the infamous Gamemaster (from Book 3). When twins go missing from Tory's school, the Virals take it upon themselves to do some of their own sleuthing. What they find will create more questions than answers. All the while, details surrounding the experiments that eventually infected Tory, Ben, Hi, and Shelton (as well as canine Coop) fall into their laps, but there's a secret set of additional documents with far more devastating information. The Flares seem to have taken a life all their own, forcing the Virals to struggle to keep things under wraps. As the kidnapping case heats up, the Flares get more out of control, possibly endangering the gang and their secret. Can Tory keep the gang together and solve the case before the kidnapper strikes again? How will the authorities take to being beaten to the punch? Reichs and Reichs keep fans on the edge of their seats, with epilogue no one saw coming. With the foreknowledge that the series would come to end in the next novel, I was interested to see where the two Reichses might take this story. The exploration of Flares as an out of control phenomenon was of great interest and also had some interesting parallels to adolescent addictions, if the reader looks closely enough. While struggling with their powers, the Virals must also come to terms with the long-term effects of their powers and how this differentiates them from other children their age. The social and geographic isolation from many others is also greatly addressed in the novel, helping to accentuate some of the true individual aspects of each Viral. The epilogue surely opened the door to something high-impact in the final novel, which will keep series fans from waiting too long to pick up a copy and see how it all ties up. Reichs and Reichs are surely the best set of 'adult authors' who have tackled young adult writing. This novel is surely no exception and should not be lumped together with the likes of Maximum Ride. Kudos Mr. and Madam Reichs for this excellent addition to the series, with enough impact to stand on its own in any competition. To conclude some of my predictions came true. I can't wait to read the fifth Virals book and see what happens. 1. Tory and Ben will end up together or admit their feelings to each other. According to the FAQs on Brendan Reich's website, us readers will enjoy the novel and as a Ben/Tory shipper, I will be happy. 2. Chance will reveal the Viral's secret to the general public. 3. The twins who were kidnapped from Bolton High (according to the synopsis) may have been infected with the parvovirus like the Virals. 4. The antagonistic doctor from Code will be the villain in this novel. 5. Apparently Brendan stated in a question saying that Tory would be the most vulnerable. Maybe it will do with her mother's death and shift among the group. But suddenly two very popular and dedicated students were missing – and when a video emerged of the bloodied and terrified twins, Tory and her pack decided it was up to them to find Lucy and Peter before it was too late. As their investigation intensified, made more difficult by having to hide what they were doing from their parents and the police, the Virals discovered problems with their powers – problems that seemed to be escalating beyond their control with each flaring. What was happening? Why did it all feel so out of control? Then a further danger snuck up on them – Chance Claybourne seemed to know just a little bit too much about the Virals. With Ben volatile and unpredictable, and Chance turning up unexpectedly, their chances of finding the twins was lessening as the days moved forward. Would the Virals be able to renew their strengths to succeed in their search for the vicious kidnapper? Would they find the abducted children in time? I thoroughly enjoyed this latest edition to the Virals series by Kathy Reichs. Fast paced with plenty of action, it had all the twists and turns we’ve come to expect. A very unexpected twist on the last page makes me wonder where the next one will go… can’t wait to find out! Highly recommended. 1) Karsten's body will be found. Raising the question of, How the crap did this guy end up in the bottom of the ocean? 2) Chance and Madison find journalist friends. 3) Ben-Tory-Jason drama. Tory will be unsure of her feelings for Ben. They may not officially get together. 4) Sheldon and Hi will be hilarious. Finally! They are so meant for each other! To be honest I'm a bit of a succer for a good romance. But I don't want it to rule over the action packed Virals. That would reck it. PLease don't turn it into something like that! 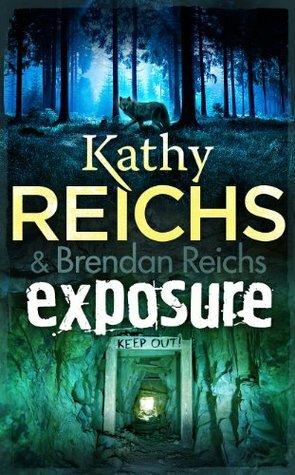 So, in my mad rush when I found out about exposure, I went on to Brendan Reichs website, hoping for some info. Here's the question and answer some girl put in. She stole the words right outta my mouth! >Are you going to play around with Ben and Tory a little bit, because that was definitely a surprise in Code! His answer>Oh yes. Tory and Ben’s relationship is central to the story in Exposure. Among other things! THERE'S ANOTHER ONE THANK GOD. The ending to Code KILLED ME. JUST KILLED ME. It doesn't come out until March, but I'll freak out about the far-away release date once I get past the truckload of books that are coming out this fall. I think this is the best Virals so far -- I can't wait for the next one! This review has been hidden because it contains spoilers. To view it, click here. Why is it that at the end of every Virals book, my mouth is open from shock and eyes nearly popping out of my head. WHY MUST YOU END THE BOOK WITH A CLIFFHANGER??? WHY??? IM DIEING HERE. Chance is now a viral :o WHAT?!? Tory kissed Ben :D finally!!!! This was definitely the BEST book in the series. Can't wait for the 5th book!!! First of all, GENIUS. I've never read anything so....WOW. AND THAT ENDING. JUST HOLY MOTHER TRUCKER WHAT A ASDFGHJKL CLIFFHANGER. WTF DID I GET MYSELF INTO?! I DONT KNOW WHY I EVEN BOTHERED READING THESE OH MY GOD THE PAIN. THE HORROR. I thought this was the second book. The thing is, I didn't like Virals. But ... it's the kind of book that sticks in your mind. And haunts you until you pick up the second (or what I thought was the second). Hey, in my defense, it doesn't SAY anywhere on the book. And all that Gamemaster trial stuff at the beginning, well, it kind of sounded like that incident from the first book. I wasn't sure. Once again, in my defense, I let the second book (sorry, FOURTH book) haunt me for I thought this was the second book. Once again, in my defense, I let the second book (sorry, FOURTH book) haunt me for a long time before I picked it up. That was a mistake. The fourth book is actually really good. I highly recommend it to anybody who likes this kind of thing. The main problem is, I totally spoiled Ben and Tory's relationship for myself. 1. In relation to the title, Exposure, either...the Virals are exposed as having Viral powers or more people are exposed to the Parvovirus XB19 virus and become viral. 2. Chance finds out what Karsten did and why the Virals inherited their powers. He will most likely not share this information with the Virals. 3. You can always count on more love triangle drama. This was the second best and most convoluted of the four books so far. It appears that at least part of both predictions 1 and 2 came true. Chance did discover the Virals secret and decided it would be good idea to inject himself with the virus and thus created more Virals. Okay I love this series and I'm an idiot for not ordering the last part together with this one. Buuuut this one was more about relationshipy things (not that I complain, that was needed!!!) and yeah the crime in the other books was more interesting. I will definitely finish this series soon and I could cry right now cause there's only one book for me to read. Although the name Kathy Reichs might conjure up images of bones, dead bodies and crime. This YA series by this mother and son writing team has nothing to do with any of those things. Virals is an entertaining young adult sci-fi infused fantasy. Tory is a complex character in the sense that she appears to be a strong and independent, and yet when it comes to Whitney she is usually a bit of a sheep. Says one thing and does another. There is a small light at the end of the tunnel when it comes to he Although the name Kathy Reichs might conjure up images of bones, dead bodies and crime. This YA series by this mother and son writing team has nothing to do with any of those things. Virals is an entertaining young adult sci-fi infused fantasy. Tory is a complex character in the sense that she appears to be a strong and independent, and yet when it comes to Whitney she is usually a bit of a sheep. Says one thing and does another. There is a small light at the end of the tunnel when it comes to her blossoming relationship with Ben though. One of the positive aspects to this fourth book in the Virals series, is that Reichs doesn’t just concentrate on Tory this time. The reader gets to know the other characters a lot better. We see them experience their powers in an entirely different way this time. Instead of the possibly life-enhancing mysterious often stagnant abilities, the powers take on a more menacing aspect. It’s one thing knowing they are there, but it is quite another to know they might not be able to control them. I like the way Reichs filters all the information, which means there is always something new to bring to the table. Regardless of whether it is about their powers, their status in society or the secrets each character keeps hidden. Kudos to the authors for the big plot reveal at the end. It puts an entirely different slant on everything. Very angst. Much unbelievable. Such bored. And there you have it. But seriously, each new book in the series gets progressively worse. The characters, by which I mean Ben and Chance, get more annoying, the book is always at least 100 pages too long, and the plot for the individual books are pathetic or ill-written. For example, Chance. Chance is something like 19. He's a multi-billionaire. And he IS Jackson Whittemore from Teen Wolf, no joke. His whole life is consumed with finding out what Tory a Very angst. Much unbelievable. Such bored. For example, Chance. Chance is something like 19. He's a multi-billionaire. And he IS Jackson Whittemore from Teen Wolf, no joke. His whole life is consumed with finding out what Tory and her gang pack are and becoming it too. He cannot rest till he has accomplished his goal and he's a giant jackass, to boot. Despite being a bajillionarie, I find it highly unbelievable that he can literally do whatever he wants and experiment in labs and wander in and out of anywhere and everywhere and no one ever questions him or wonders what he's doing or anything. Urgh. Or, and here's a gem, why would two teenagers who wish to fake their kidnapping in order to get ransom money from their (apparently) horrible stepfather ASK A COP TO HELP THEM? Like, how did that even come about? Kids: Hey, mister. Want to help us fake our kidnapping for $5 million ransom, which is entirely too much to ask, so that we can use that money to make our own way in the world, even though this is an ill-fated plot that will never work out? Kids: Oh, pretty please, mister cop!! We'll give you $1 million of it. And like any good self-enterprising cop, Likely Candidate plans to double-cross the Kids, kill everyone in his way, and abscond with the $5 million. I have really enjoyed that series. It gets better with each book. In 'Exposure' Virals are dealing with the fallout from their encounter with the Gamesmaster. Tory is struggling with hers and Ben's feelings for each other. On top of that their powers seem to be going haywire and couple of their schoolmates get kidnapped and Virals being Virals get themselves involved into the investigation. And Chance seems to be up to something as well and will not leave them alone. I really really liked that bo I have really enjoyed that series. It gets better with each book. I really really liked that book! It is fast paced and very engaging. Tory and Coop are, as always, top of the pack. It is nice to see Tory make a friend outside the pack and hopefully Ella will make appearance in the next book. I loved how awkward Hi gets when she is around! I love Hi and Shelton! They are just so funny together! And Tory and Ben... Will they make up and be able to at least be friends again? We do get some answers in the book and I cannot wait to see how their story develops. 'Exposure' ends with a twist. There are some big challenges ahead of Virals and I am really looking forward to reading the next book in the series. This was an exciting book that was even better then the three previous in the series. It had not only an exciting plot line that truly keeps you on the edge of your seat but it also gives you a deeper connection and understanding of not only the main character, Tory Brennan, but also her friends and foes. It was tense. Lip biting worthy. I did have lots of qualms with the main character's choices but it was really good. REally REALLY good. And speaking of our MC Tory- note to everyone: If someone likes you and you don't like them back or aren't sure if you do: TELL THEM THAT. It saves so much anguish and awkwardness if you just spell out plainly and bluntly. They react badly, their loss but you did the right thing and you'll feel better for it. Trust me. Quickly without spoilers: I'm a A-MA-ZING. Quickly without spoilers: I'm a little disappointed that Ella was mostly plot device. She was a great character, don't get me wrong, but I'm really disappointed that she only came in on this book (and that we didn't hear anything of the soccer stuff) and not before. I'm not the biggest fan of sudden character appearance importance (SUCAI) in books. Makes me really annoyed. If Ella doesn't continue to play a large roll, or at least a Taylor-sized roll within this book, I'm gonna have problems. Can I cave the twins' heads in, please? PLEASE? The fact that they thought they could control a COP and not just any cop, but HAWFIELD, is SO dumb. And that scene where we saw Hawfield's mind was... like watching a scene from 'Criminal Minds'. I agreed with Tory's assessment though. Killing him was involuntary, but because of his actions and his attempts, it was earned. He was not a good man. He was not even a man. He was a dirty, conniving, horrible animal. Tory and Ben's forgiving each other/opening up to each other scene was perfect and sweet (and, naturally, ruined by her father). His anguish was so palpable I was near tears. Tory's release of feelings afterwards DID make me cry. That whole scene was what I had been waiting for out of that subplot and Reichs paid dually. BENJAMIN AND VICTORIA. THAT KISS. OH, MY GOSH. AHHHHHH okay. I'm normal again. I think. nOPE. YAYAYAYAYAY Her and Ben are... Ben's 'stupid grin' was the most innocent and sweetest thing I've read in forever. After all his panic, all his anger and the whole debacle of this book of whether or not she should forgive Ben and face the music (aka his feelings for her and hers for him), that scene made up for it all. I was so happy- I was pretty much Ben for that whole end of the book (until the sledgehammer named Chance Claybourne came around). And the way she did it too!! 'It's totally you" had me grinning probably as stupidly as Ben. Ben is most certainly a hero and that kiss definitely settled any leftover nervousness between the two of them. Also, Tory's response to Ella afterwards of her convincing statement being "a surprise" made me so giddy. I really do enjoy this series. I am looking forward to getting the last book so I can finish it up. If you like Kathy Reichs other books you will also enjoy this one. They are also nice relaxing books that do not take long to read at all. "Exposure" the fourth novel in the "Virals" series begins when the Gable twins -Peter and Lucy- are abducted from Bolton Prep. Although their powers have been becoming wild and unpredictable Tory and her Pack decide to investigate. Threads of this thriller follow the Virals' investigation into the disappearance of the twins; their search for Dr. Karsten's files to unravel the mystery of their physical and super- sensory capabilities; and Tory's struggle to deal with Chance Claybourne's explorato "Exposure" the fourth novel in the "Virals" series begins when the Gable twins -Peter and Lucy- are abducted from Bolton Prep. Although their powers have been becoming wild and unpredictable Tory and her Pack decide to investigate. Threads of this thriller follow the Virals' investigation into the disappearance of the twins; their search for Dr. Karsten's files to unravel the mystery of their physical and super- sensory capabilities; and Tory's struggle to deal with Chance Claybourne's exploratory research into the disastrous medical experiment that created the virus that changed their DNA. With only zodiac cards and a blood stain as clues Tory and her pack also have to deal with contentious police detectives, an irritable high school principal and a black BMW that continually follows them. The story heats up with multiple twists and turns as the they draw closer to the killer, and the case takes on sinister overtones when a third classmate is kidnapped. Yet throughout the adventure as tension and suspense builds, the seriousness of each new challenge is often diluted by Hi's humour and Tory's exasperation with her father's overzealous girlfriend and her befuddlement with her growing feelings for Ben. Like all the novels in the Virals series, the characters add energy, excitement and zest to the unfolding drama. Tory Brennan continues to be impulsive and confident until her link with the boys becomes erratic. With Ben's betrayal and the erosion of her bond with the pack she fears for their future. Ben Blue with his dark moods and temper seems arrogant and reckless until events unfold that prompt Tory's forgiveness. Hiriam (Hi) Stolowitski continues to use his quick wits and razor -sharp tongue while Shelton Devers the clever cyber- hacker remains resourceful, but skittish when called into action. Eighteen year old Chance Claybourne after spending time in a mental hospital has lost his playful side and is tenacious in his determination to uncover the secret that Tory keeps hidden. Like all of the Virals novels to date I enjoyed Tory and her pack's criminal investigation in "Exposure" and look forward to reading the next book in the series. Perhaps it's because I devoured all four books in the last week, but something about this one wasn't quite working for me the way the others have. I may just have had too much of a good thing, but geez, Tory really annoyed me in this book. I couldn't quite get over her hypocrisy concerning flaring and Ben. "Do as I say, not as I do" is pretty poor in any situation, but particularly so in this case. Also, it got pretty irritating to have everyone telling her how she's brilliant and a genius. Real Perhaps it's because I devoured all four books in the last week, but something about this one wasn't quite working for me the way the others have. I may just have had too much of a good thing, but geez, Tory really annoyed me in this book. I couldn't quite get over her hypocrisy concerning flaring and Ben. "Do as I say, not as I do" is pretty poor in any situation, but particularly so in this case. Also, it got pretty irritating to have everyone telling her how she's brilliant and a genius. Really? Does that even need to be said? Couldn't we just get a "Hey, great work" and leave it at that? More than once, I almost put the book down and walked away due to the over-explanation of everything. Look, I know I'm not as smart as these characters or the authors even, which is why I don't give a crap about all of this information. If I wanted to know about every minute detail concerning every random topic that comes my way, I probably wouldn't be wasting my life reading YA thrillers. Let me put it this way, when your "genius" character is sitting there going "What? I don't get it?" and you have to have this long tedious scene of explanation . . . sigh. And worse, in the end, it wasn't even relevant! Just some silly diversion to throw everyone off. I guess if you're reading this to solve the mystery that would be cool . . . maybe . . . I dunno. Mostly I came away feeling like someone had done a bunch of research about this crap and just couldn't bear to leave it out. Eh-hem, I do believe your research is showing. Ah, the line between smart and mind-numbingly boring is so often a thin one. The Virals are dealing with some big issues in this episode. Ben and Tory aren't speaking because Tory can't forgive him for his part in their problems in the previous book. Also, their powers are getting out of their control. Tory passes out a couple of times when hers overwhelm her. Besides that a couple of their schoolmates have been kidnapped and the Virals decide to look into it. They are following clues and getting nearer to finding the twins when Tory's new friend Ella disappears. Now the The Virals are dealing with some big issues in this episode. Ben and Tory aren't speaking because Tory can't forgive him for his part in their problems in the previous book. Also, their powers are getting out of their control. Tory passes out a couple of times when hers overwhelm her. Besides that a couple of their schoolmates have been kidnapped and the Virals decide to look into it. They are following clues and getting nearer to finding the twins when Tory's new friend Ella disappears. Now the race is on to use all their powers to find her. Of course, they also have to keep their powers as secret as possible because Chance Claybourne is watching them closely. He has the research of the scientist who developed the project that turned the kids into Virals. That is the same research that the Virals are looking for to try to figure out why their powers are changing. Give me the next book now - please! Exposure picks up shortly after Code. I was glad that it gave a quick review of the previous book because I must admit I was a bit foggy on the finer details. I absolutely adore Tory Brennan. She is the only girl in the group, the leader of the group, and not only super smart but physically normal too. (By that I mean she hasn't been stuck in the unfit super-nerd category.) She makes a great role model for teen girls. On that note, I also love that these are sc Give me the next book now - please! I absolutely adore Tory Brennan. She is the only girl in the group, the leader of the group, and not only super smart but physically normal too. (By that I mean she hasn't been stuck in the unfit super-nerd category.) She makes a great role model for teen girls. On that note, I also love that these are sciencey books. The premise is a bit stretched (think something along the lines of Spiderman), but the rest is awesome science. I was even interested in the mini lesson on phosphates. I think this is even more important because there is still that silly stupid rumour out there that boys are better than girls at science and maths. Like gender really determines things like that. To quote Tory, "Blergh". This review has been hidden because it contains spoilers. To view it, click here. Well, that was absolutely wonderful. I sincerely wished that Tory would choose Chance, but never mind. It frustrates me that Reichs thought she had to introduce Ella as a possible candidate for Chance's affections straight after Tory rejected him, but her amazing info-dumps of forensics and DNA rather make up for it. Looking at fellow reviews, I see that others expected the Gable twins to be members of the Trinity. Well, that would have been FABULOUS. I never liked them. It would have made the r Well, that was absolutely wonderful. I sincerely wished that Tory would choose Chance, but never mind. It frustrates me that Reichs thought she had to introduce Ella as a possible candidate for Chance's affections straight after Tory rejected him, but her amazing info-dumps of forensics and DNA rather make up for it. Looking at fellow reviews, I see that others expected the Gable twins to be members of the Trinity. Well, that would have been FABULOUS. I never liked them. It would have made the readers antagonism toward the Trinity more personal, and thereby more gripping. Hey ho. I also think that Tory's character softened considerably in this installation, which I do not think suited her. She was far too forgiving of Ella and Chance. Kathy Reichs is a forensic anthropologist for the Office of the Chief Medical Examiner, State of North Carolina, and for the Laboratoire des Sciences Judiciaires et de Médecine Légale for the province of Quebec. She is one of only fifty forensic anthropologists certified by the American Board of Forensic Anthropology and is on the Board of Directors of the American Academy of Forensic Sciences. A Kathy Reichs is a forensic anthropologist for the Office of the Chief Medical Examiner, State of North Carolina, and for the Laboratoire des Sciences Judiciaires et de Médecine Légale for the province of Quebec. She is one of only fifty forensic anthropologists certified by the American Board of Forensic Anthropology and is on the Board of Directors of the American Academy of Forensic Sciences. A professor of anthropology at The University of North Carolina at Charlotte, Dr. Reichs is a native of Chicago, where she received her Ph.D. at Northwestern. She now divides her time between Charlotte and Montreal and is a frequent expert witness in criminal trials. “So what's the plan?” Ben asked. “Ella finished her burger and dug into a side of fries. Hi watched, enraptured. “What? Sure.” Hi smiled, made no move. I caught Shelton slowly shaking his head. “Got that right. Hot hot hot!” Hi awkwardly shoved another fry into his mouth. “Okay, wow.” Ella gathered her things, then brushed my cheek with a kiss. “Later, Tor.” Shouldering her bag, she hurried from the cafeteria. A loud thunk drew my attention back to the table. “Such.” Thunk. “A.” Thunk. “Dumbass.” Thunk.